Former England defender Matthew Upson says he had to make "a big decision" over whether to continue playing. 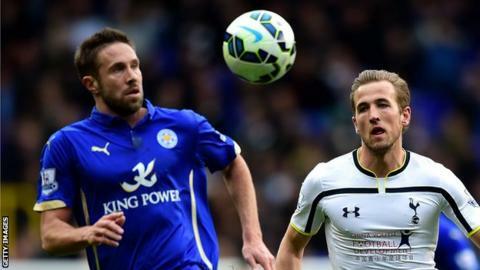 Upson, 36, has joined MK Dons after an injury-hit season at Leicester. "It was a big decision for me this summer - I had such a difficult season last year after having a bad injury at Brighton," said Upson. "I had some surgery and it really set me back. I had to do a lot of work in the summer to get to a place where I was happy to play another season." Upson had a foot operation after joining Leicester from Brighton last summer, restricting him to six appearances for the Foxes in the top flight and FA Cup in 2014-15. The former Birmingham, West Ham, Stoke and Brighton centre-back has played 450 career games in all competitions. And he says that the style of football MK Dons boss Karl Robinson likes his team to play was a big factor in signing a one-year deal. "I enjoy to pass the ball and think the Dons do that very well," Upson told BBC Three Counties Radio. "It's a very progressive, up-and-coming club, so it's an exciting proposition for me at the age that I'm at."